My husband had the admirable ability to remain calm in the face of upheaval and chaos. As a person strongly influenced by emotions and with a deep need for “safety”, his equanimity was like my life raft in a storm. Ironically, this same “unflappableness” occasionally also drove me crazy. But sometimes when I felt like our world was on fire, his equanimity felt like blindness—or idiocy—like an utter denial of the flames that were about to consume our lives. Instead of comfort, I felt that my perspective of what was happening was being ignored, dismissed, minimized, and denied. Although I craved his reassurance, in these moments, I needed to know that he saw what I saw, felt what I felt, and recognized its scale and power. Until I had that reassurance, his composure felt foolhardy. I felt angry and even more afraid. First, I wanted--needed--validation of my fears then I could trust in his ability to support, partner, and protect us. I wonder if our children sometimes experience a similar emotional paradox around the grief, loss and identity issues that undergird adoption. Yes, they truly need our love, and they want to reciprocate, to belong and yet … There is a genuine flip side. They also wrestle with all the messiness that comes with the fracture from their first family. Regardless of any benefits which accrue to them, their losses co-exist. Too often blinded by our own perspective we need to ensure that everything within our families is all right. The world, even we parents become inured to this pain. Do our kids share the invalidated, unsettled feelings I described when my husband’s calm seemed dissonant to our circumstances? My own experience tells me that until we acknowledge that we see the “flames,” any comfort we offer will come across as tone deaf, inappropriate, absurd, dangerous, and stupid. Firefighters know that a hot spot ignored quickly become a conflagration. Denial endangers us. It is not our friend. Action is. We can become the shield which keeps them safe. We accomplish this by facing what is at hand and acknowledging adoption complexity. We must talk about it. Validate it. Mitigate it. In that context of truth, we can connect with our children’s reality with grace, love, and empathy and it will be grounded in reality. Such authenticity may be difficult—even painful—but it is essential. Otherwise, our relationships devolve into role play with each of us acting our character’s assigned part. Our kids deserve so much more. We have the power to create relationships built on truth, respect, and compassion. Our children will benefit immensely from this choice. In fact, our entire families will. Deal with the proverbial elephant in the room before everything spontaneously combusts. 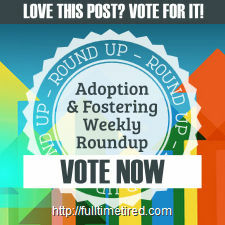 Check out these additional Adoption-attuned resources! 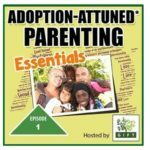 Listen to our podcasts on Adoption-attuned Parenting. Last weekend I went camping with my son and his family. 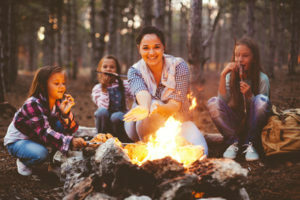 Something magical happens when we gather around a campfire, toast marshmallows, snack on S'mores and notice the star-studded sky arching overhead. Good times! It's a total break from the routine of our ordinary, very busy lives. We relax. Talk. And when silence falls, it feels welcome and comforting which is good for the spirit, good for the body and good for the mind too. We notice the sounds and smells and appreciate the beauty of our environment with a fresh intensity. Of course, living in VERY tight quarters also challenges one's relationship skills. Everybody must choose to reset their needs for personal space and be intentional about finding ways to be helpful or at the very least, to stay out of other people's way. When it comes to food, what we brought is what you can have. Makes no sense to fuss for what's at home & not in the camper! During this upcoming Labor Day weekend, why not plan some family memory-making activity? Can't get away? Why not build a campfire in the backyard? Or, have a "camp out" in the house complete with a picnic meal and "tent." (Fitted sheets draped over the backs of chairs make an easy, temporary tent.) Use your imagination. Go on a night hike. Play flashlight tag. Notice the stars while simply enjoying being together. Be intentional about creating a memorable chapter in your family's history. Share your ideas and let us know what you created as a family. Readers of this blog know that I care for my three-year-old grandson's three days a week. This is both a privilege and a joy. 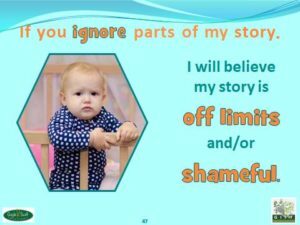 Trained as a teacher and honed by adoptive parenthood, I am also fascinated at the difference between parenting children with trauma histories and parenting this little cherub who has known only consistency, stability and love from all the adults in his life. His sense of trust has never been broken and he, therefore, views life through a lens of secure trust. He believes the world is safe and welcoming. He knows that adults are safe, reliable, supportive, encouraging, and loving. Attunement has repeatedly provided him successful "serve and return" relationship reciprocity that nurtures secure attachment. I observe a palpable difference between his life experience and that of my own children and others who had experienced trauma, had authentic reason to be vigilant and sceptical about the world. They knew from direct experience that it could be upended suddenly, that everyone and everything familiar can disappear in a flash. They wanted to inhabit a world that was steady, safe, reliable, consistent, secure, and managed by trustworthy adults. Trauma histories have an impact on children's worldview and influence their mental and physical health. 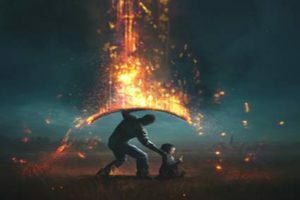 This does not mean that children with trauma histories are doomed; They simply need parents and caretakers who understand the need for attunement, patience, presence, empathy, consistency, and therapeutic parenting. Remember, their life experience created a "blueprint that was imprinted by terror." From the very understandable logic built on their personal history, learning to trust, DARING to trust is an act of incredible bravery. 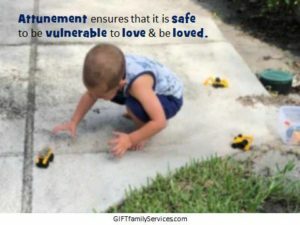 Dr. Steven Porges further clarifies that attunement builds a context of safety that frees people to “love without fear.” As Intentional parents we most certainly want our children to feel safe and secure enough to "love without fear",  to feel safe enough to open themselves to the joy and vulnerability of connection. My grandson demonstrates this ease in his habit of occasionally pausing in the middle of his play to spontaneously plop himself in my lap and announce, "I need a hug." Cue the moist eyes. Obviously, I melt and hug him with joy and deep love. Every time he does this I think, Wouldn't it be wonderful if we felt confident and secure enough in all our relationships to let people know we need a moment of connection and affection? This only occurs in a context of profound trust because it exposes both one's own raw need, it makes one vulnerable to rejection and to the other person's taking advantage of their invitation to respond to our expressed need. Those who know us best, who know our trigger points and sore points, who know our fears and worries have the potential to use them against us. That is why the degree of trust for this level of intimacy is huge and rare. How many times have you experienced the need for a hug or an empathic ear? How often did you feel secure enough to act on that need and request connection with another persona? What enabled you to muster the courage? On the other hand, if you stifled the need, and stoically stuffed your emotional needs, what prevented you? How did this emotional shutdown feel? How might your life change if you WERE able to reshape your relationships so attunement COULD happen? What would be the first step and how soon will you take it? How are we building this level of trust within our families? With our partners? How are we modeling the willingness to be vulnerable as well as the careful way we respond to such overtures to connection as the sacred trust they actually represent? Trust, connection and attunement are fragile and take time to build. 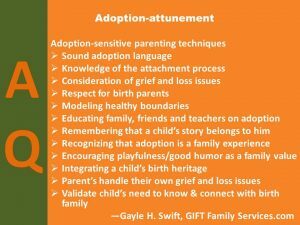 They are also easily damaged, so we must marshal great vigilance and commitment to attunement--especially that specialized level of adoption-attunement which understands the complexity of factors that adoption imposes on families built by adoption. 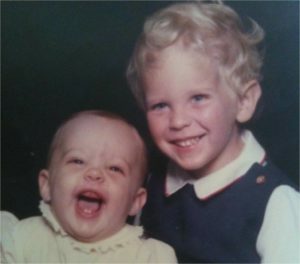 Adoption deeply influences a family. IT MATTERS! Families must talk about it. If we resist or avoid conversations about adoption, our children will falsely infer that their adoption is a shameful secret. This may lead them to have conflicted emotions, identity challenges, as well as a lack of resilience to bounce back when things get tough. 1. Because you built your family through adoption, you have some additional adoption-connected parenting tasks. When you adopted, you obligated yourself to become the best parent possible. This means you must educate yourself on how adoption adds additional layers or responsibility and challenge to your parental role, to family dynamics, and to be envoys for your children. To fulfill those tasks, you need help identifying and performing them well. Books provide insight, strategies, and encouragement. They introduce new ideas which parents can consider and they can reveal issues which parents may not even realize exist or need to be handled. 2. Your children also have "inherited" adoption-related tasks which they must handle to ensure they grow into their best version of themselves. Books offer a safe chance to explore the topic. They create a chance to ask questions that reveal a child's beliefs and fears about adoption. Parents can then address them and allay their children's fears. 4. 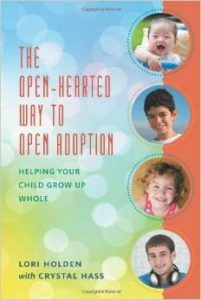 An accessible, well-stocked adoption bookshelf sends a message: that adoption is a safe and welcome topic. It telegraphs to children that parents are comfortable discussing adoption, that they can handle the conversation, and that they believe it is something they want to discuss as a family. 5. Children can pick a book off the shelf when they feel the urge or need to talk about adoption. It's easier for them to hand a book to a parent that to open a conversation with a "Mom, we need to talk..."
6. Books help parents and children feel less isolated, less different. They help families feel like part of a tribe of other families facing the same situations. This helps reduce the feeling of being different and encourages a sense of shared community. For specific book suggestions, check out our list here. 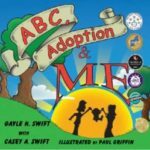 Be sure to consult, GIFT coach, Gayle Swift's blog, "Writing to Connect" which reviews "general" books that are not intended to be about adoption. She evaluates them through an adoption-attuned lens that identifies ways of raising important adoption conversations in a natural, relaxed way. 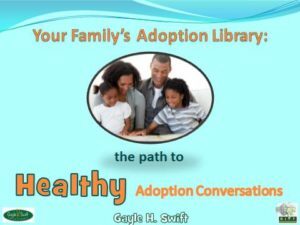 Next week we will explore: Five Reasons Your Family Adoption Library Can't Handle Everything. Last weekend my son turned thirty-three. * (He's grown a fair bit since this photo was taken!) We marked the day with the usual festivities including ice cream cake, candles to blow out, voices raised in off-key song. Sounds pretty typical but it was far from routine. Around the table sat his wife, his young son, his sister and her husband and myself and... his birth mother, her mom, and her sister. All the people he loved most in the world were there. Adoption had brought us together. Love gathered us as one to celebrate and be a part of his life. He was visibly moved by the fact that we were all present. We, the members of both his birth family and his adoptive family joined to be his FAMILY and together we love our son. This love for him motivates us to welcome and value one another. We do not ask him to choose which family is "real." Nor do we demand loyalty to one and not the other. He needs us all. He values us all. Because of that truth, we all value one another. His adoption which occurred in the 1980s was originally "closed" until he reached nineteen. Because my son is an adult, admittedly, this is easier. Fewer fears undermine our commitment to being "open." Even at the time that his mom first reached out to him, his Dad and I recognized how important these relationships were to our son, to his happiness and to his mental as well as physical health. As parents who loved our son deeply, we grabbed the opportunity to embrace this healing reconnection with his birth mother. We have never regretted it. Over the years we have built a comfortable, welcoming relationship and we all have benefitted. How might your family benefit from more openness? Who will benefit the most? What fears come up and how do you resolve them? What boundaries might serve you? How can you lay the groundwork for the relationships to evolve over time? How will you prepare your child?